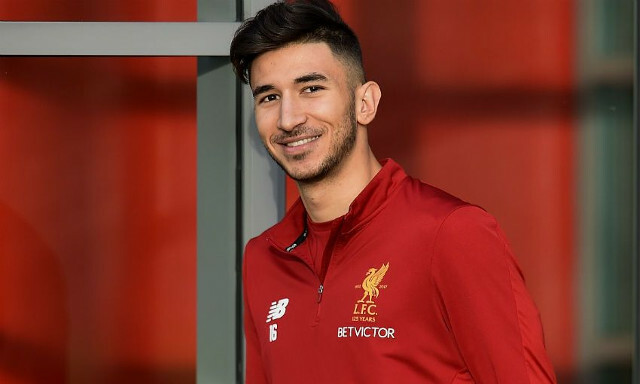 The arrival of new interest is set to force Liverpool into considering their stance over Marko Grujic ahead of next season. Grujic has been tipped to leave on loan again in the summer having spent the second half of last season helping Cardiff City secure promotion to the Premier League. Neil Warnock’s side seemingly remain interested in retaining the services of the Serbian for their return to the top flight, but will face high-profile competition in their efforts to do so. Serie A sides Lazio and AC Milan are both keen on signing Grujic on a permanent deal, according to Goal.com’s Neil Jones. Liverpool’s desire to send the 22-year-old out on a temporary basis, preferably to a Premier League side, means Cardiff remain the favourites to land him. Nonetheless, the tendency at which the Welsh side’s direct style of play bypassed Grujic last season means the Reds could hold out for a home more ideally suited to his playing style. With the midfielder seeking to improve his tactical and positional discipline, the sheer presence of Warnock at the helm could also stand Cardiff in good stead to prevail as a familiar stepping stone in his development. It seems illogical at such an early stage in his career for Liverpool to abandon early optimism that Grujic possesses the box-to-box expertise to be a useful contributor moving forward. An opportunity to test him in England’s highest tier is one worth pursuing for the purposes of the long-term implications.